Happy Friday! 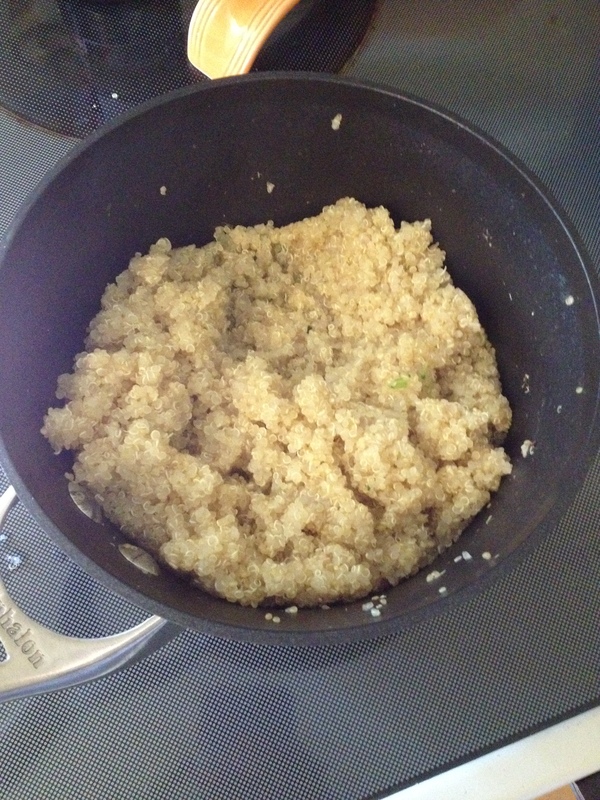 Earlier in the week I decided to finally make the quinoa I had bought at Trader Joe’s ages ago. 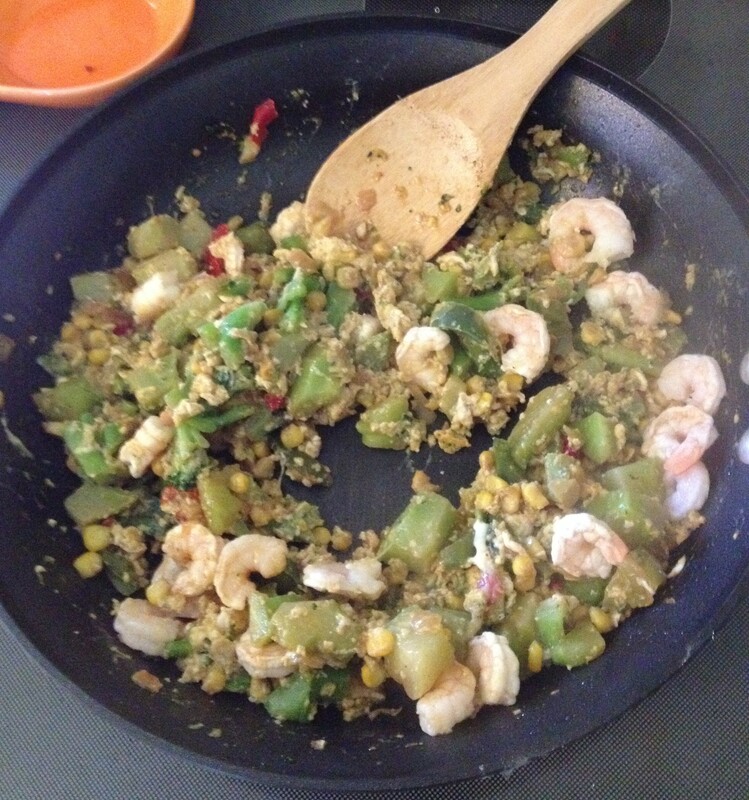 I had all the ingredients to make a shrimp and veggie fried “rice”, so I went for it. 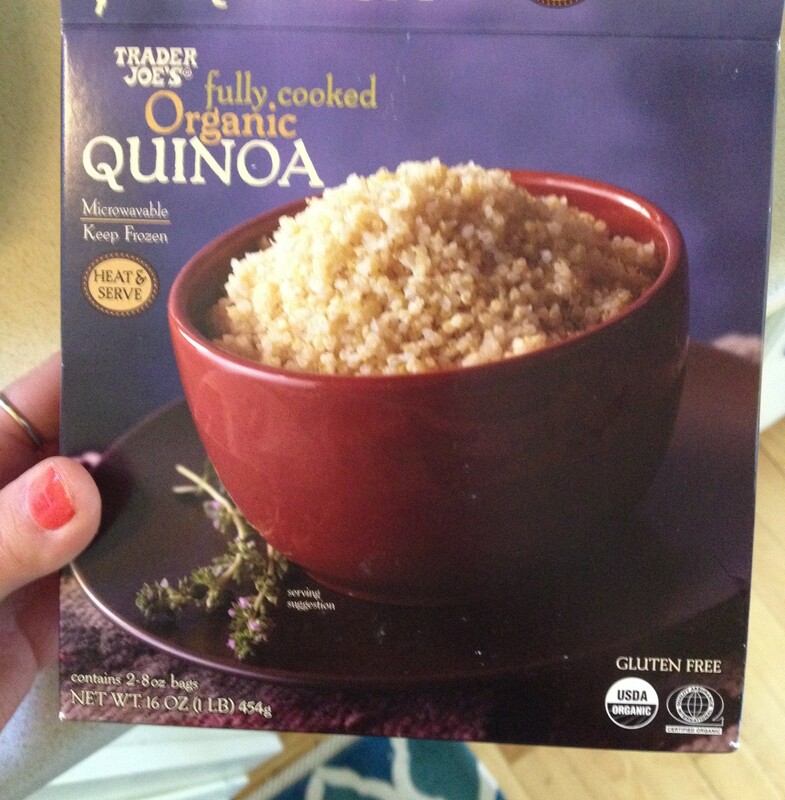 I had never made or had quinoa but I really liked it! 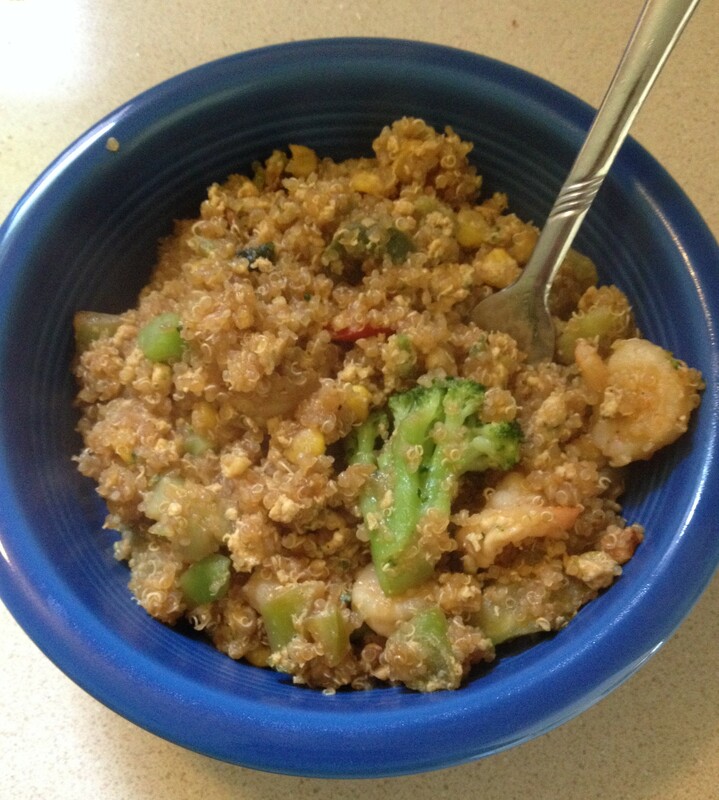 It’s a little more soft and chewy than rice, but it was really good with the soy sauce, veggies, and shrimp. 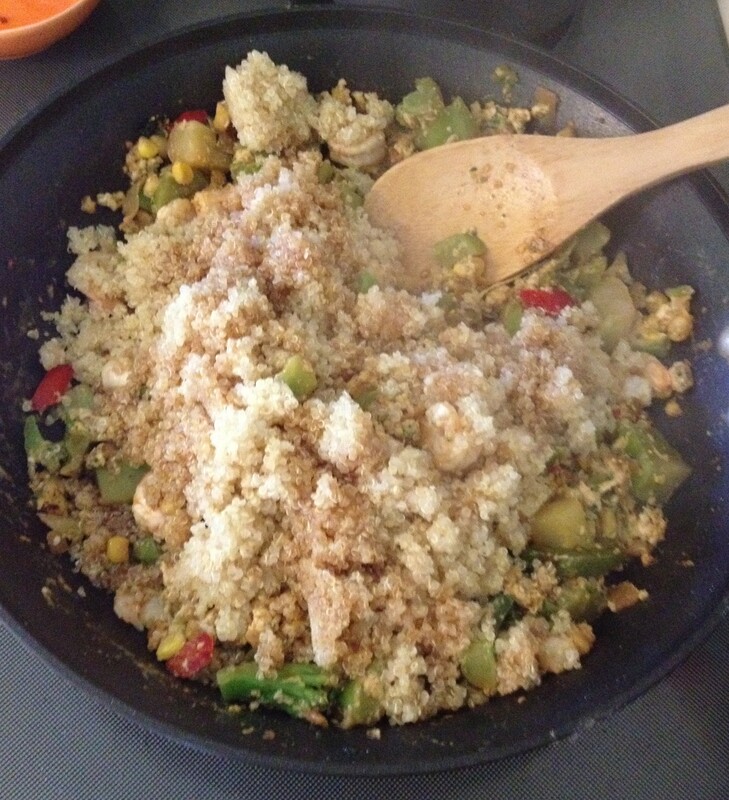 I will definitely be making more quinoa dishes in the future – recipe suggestions would be much appreciated! 1.) Cook quinoa per package instructions. 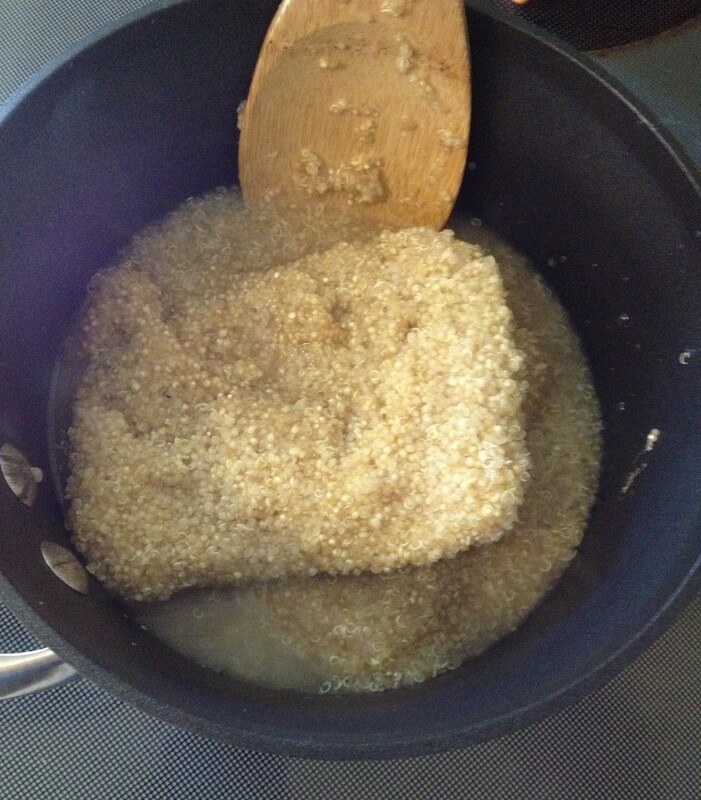 For the frozen quinoa, I used both packages and added water, according to the box, until it had fully thawed on the stovetop. 2.) 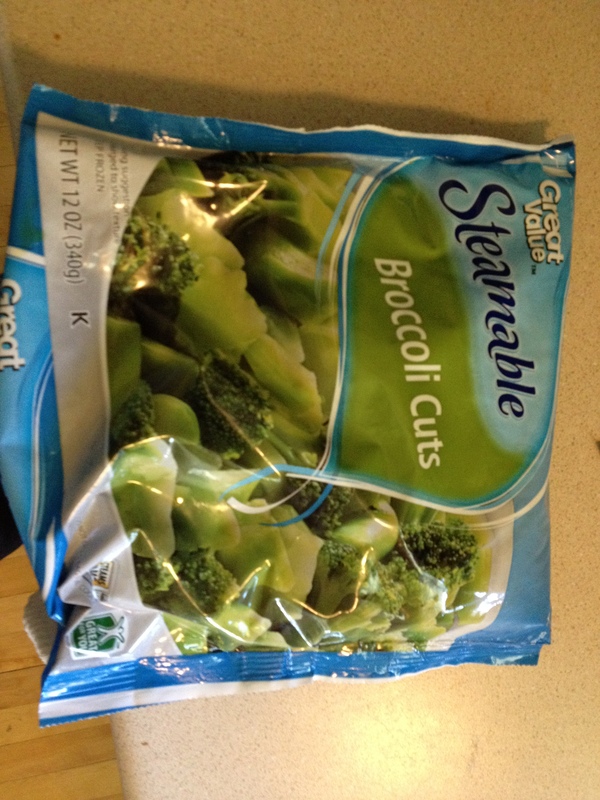 Steam broccoli cuts in the microwave per package instructions. Also thaw frozen shrimp by running cold water over them until soft. 3.) 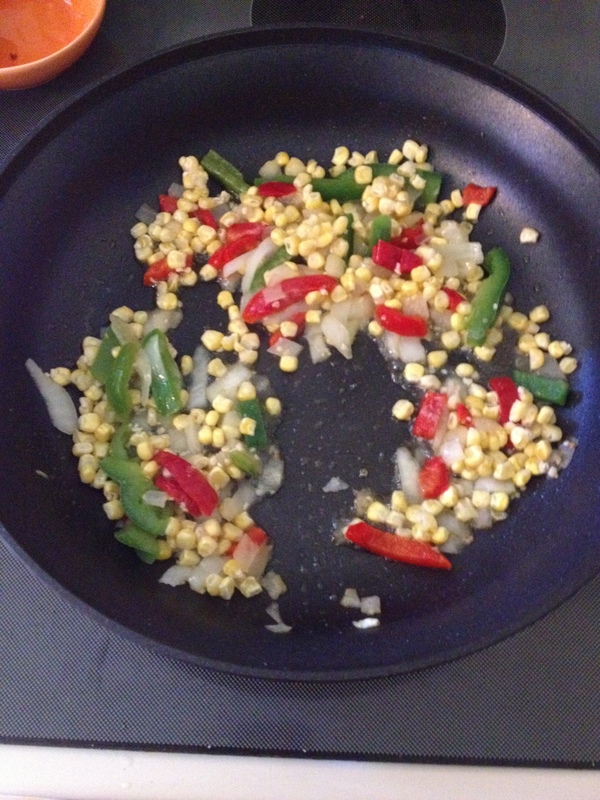 Meanwhile, cook frozen corn, onions, and peppers over medium high heat with olive oil until soft. 4.) 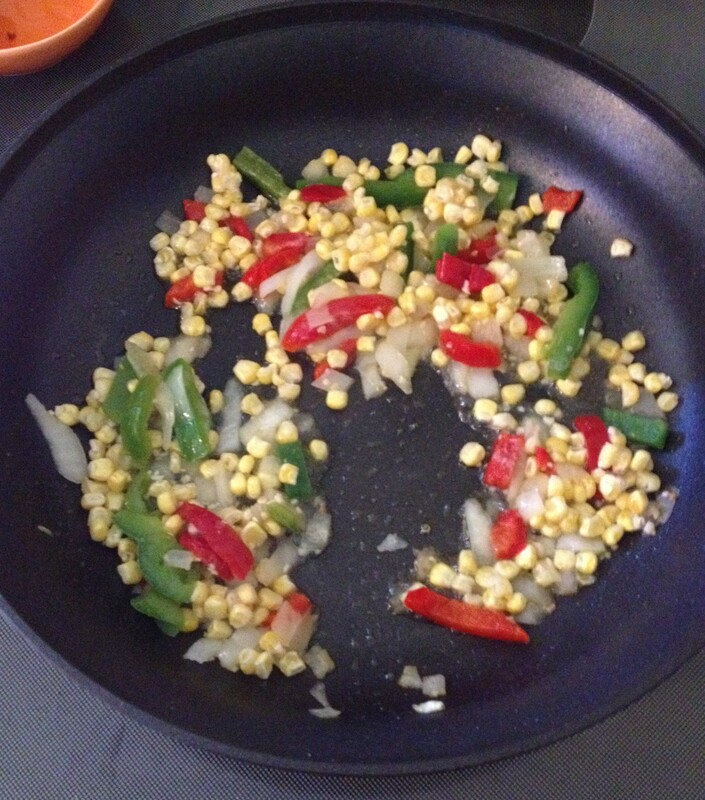 When broccoli is steamed, add to skillet. 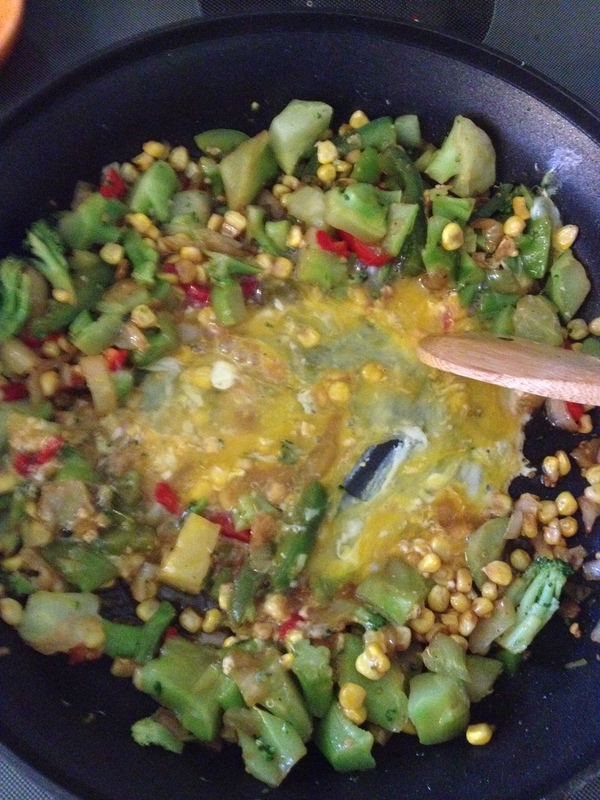 Then crack 3 eggs into skillet and mix to scramble with the veggies. Then add in shrimp.